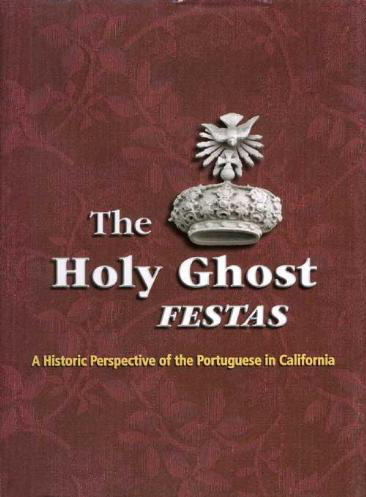 This publication of the history of all 149 Holy Ghost festas ever celebrated by the Portuguese community in California is the culmination of almost two years of research by over 200 volunteers, historians, photographers, sociologists and researchers. Illustrated by hundreds of photographs, many of historical significance and never seen before, this is the history of the largest and most visible religious and cultural manifestations of the Portuguese community. Starting with the first festa in the late 1850’s to nowadays, this book narrates the history of every brotherhood that every existed. These Holy Ghost celebrations, brought to California by our Azorean pioneers over 150 years ago, are still central to the life of our community. In it you will also find in-depth articles on the historical origins of the celebrations, the evolution of the use of capes by the queens as well as a perpetual calendar for every festa. This is a must have publication for anyone interested on the history of the experience of the Portuguese community in California. Note: This publication is currently sold out and there are no future plans for a 3rd edition. Anyone interested in or doing research on the Portuguese in California may acquire the Holy Ghost Festas CD – the complete text of the original book.